Consistently counted among the wealthiest, the city of Luxembourg is home to innumerable thriving industries that include banking, healthcare and consumer goods. 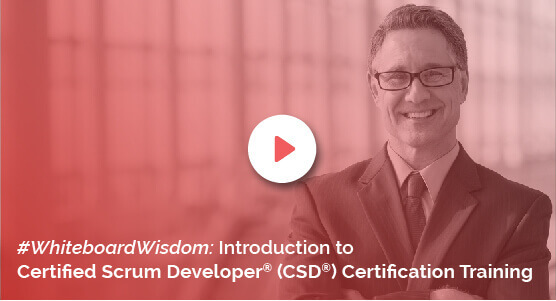 To stay at the top, it follows the organizations' needs for specialized talent such as the Certified Scrum Developer® (CSD). A Registered Education Provider with the Scrum Alliance, the Knowledgehut Academy is globally recognized. You can earn a CSD certification in Luxembourg through an immersive instructor-led training in as few as five days. Scrum Alliance certified trainers deliver the CSD training in Luxembourg in two parts. The first two days which focus on agile basics and related concepts are optional for those with a CSM certificate. The next three days focusing on technical aspects of CSD include an introduction to development practices, practice sessions and many more concepts. To qualify as a CSM or a CSD, participants will need to earn prescribed Scrum Educational Units (SEUs) and Professional Development Units (PDUs) during the workshop. Despite being delivered in a convenient fast track, this CSD training in Luxembourg underlines smart learning and practical experience. Employers can choose this coaching to build their talent pool rapidly. Other interested individuals can quickly update themselves to the current industry best practices. Among its many benefits, the CSD course in Luxembourg cost includes the Scrum Alliance Certification Examination fee, access to a related e-learning course, an e-book for all and a 2-year Scrum Alliance membership for those who earn the developer certification. Competitive in price, anyone with interest can enrol themselves for the certified scrum developer training in Luxembourg. Whether you manage an organization or are seeking career growth, you can ask for a demo. Learn more about the certified scrum developer certification in Luxembourg before you register for the actual training.